University of Hull's Geography Society gives you the opportunity to share your enthusiasm for the subject with other students. 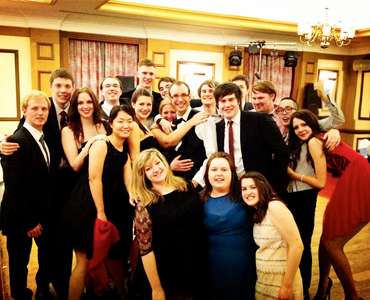 We do this mostly through social events, including The Geography Ball which has was hosted for the second time last year. This academic year it will be in the newly refurbished Canham Turner! Last year we held many bar crawls and themed events which was great way to meet others on your course and in different years. The Geography Society supports a Fresher-Parent scheme which pairs Fresher's with older students, and it gives you a point of contact throughout the year to provide advice for anything to do with university. This year we are hosting some geography seminars from staff in the department. There are also some other events that are currently in the discussion phase including Paintballing, Big Fun, The Christmas Party and a Summer BBQ. Join our Facebook group or follow us on Twitter, @HullGeogSoc and get involved!